Vung Tau, which is about 3 hours driving from the city center of Ho Chi Minh City, is one of the famous destinations of southern tourists. With the total coastal line is over 20 kilometers, from Vung Tau, you can observe the beauty of sunrise and sunset on the South China Sea. 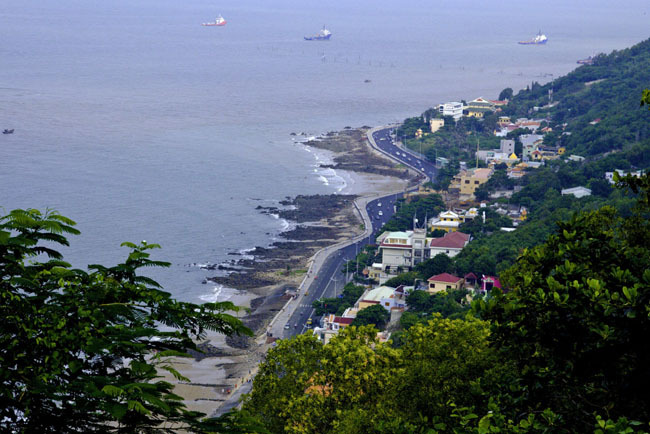 Apart from picturesque landscape, Vung Tau is also the land of ancient cultural value. How to go to Vung Tau? Vung Tau is about 125 kilometers from Ho Chi Minh City. Thanks to this, it is an ideal destination for short trips. Nowadays, you can pay a visit to this city by motorbikes, coaches, or hydrofoils. 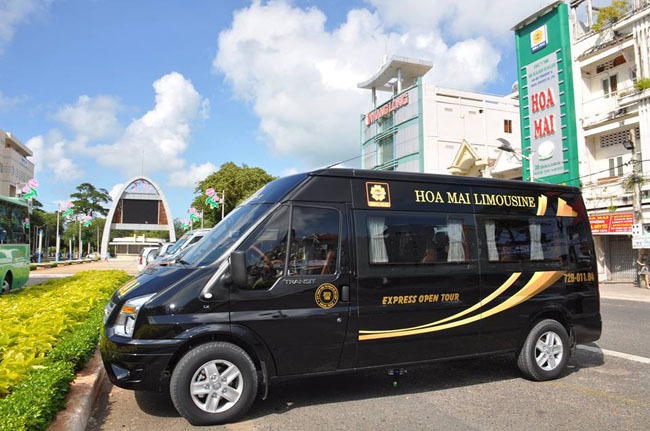 Open tour: Vung Tau – Ho Chi Minh City. Time: 4:00 AM to 5:30 PM (the waiting time for each trip is about 15 minutes). Address: 93, Nguyen Thai Binh, District 1, Ho Chi Minh City. Address: 9, Ha Long, Vung Tau City. Best time to visit Vung Tau? The tourist season of Vung Tau may be all over the year because the weather is so beautiful, neither too cold nor too hot. You just need to update the weather forecast to avoid traveling here on stormy days. 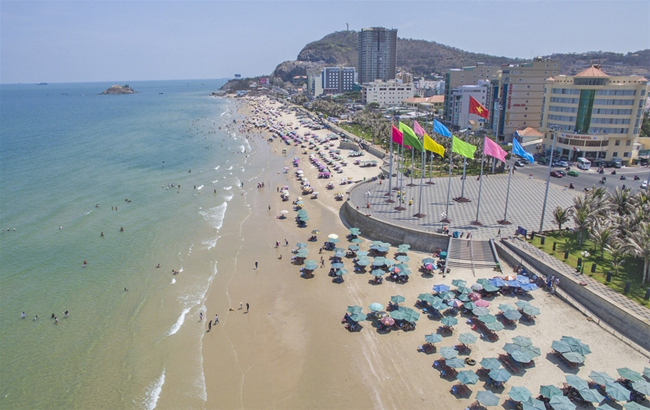 Besides, at the weekend and important festivals, Vung Tau attracts a great number of tourists and the tourism service is quite expensive in those days. The Back Beach of Vung Tau is famous for its beautiful beach and gentle waves with many restaurants and eating area. Thanks to those reasons, many tourists choose Back Beach as their destination. Thuy Van Street of Back Beach, which is as famous as Tran Phu Street of Nha Trang, is a street with many hotels, from the common to the luxurious one. The center of Vung Tau City is at the Front Beach, where many skyscrapers and busy commercial centers located. In general, many tourists prefer swimming and enjoying the ocean at Back Beach, because the Front Beach is quite polluted due to the density of residents and tourists. However, if you want to find an ideal place to enjoy the sunset or simply walk along the sandy beach, then the Front Beach is suitable for you. 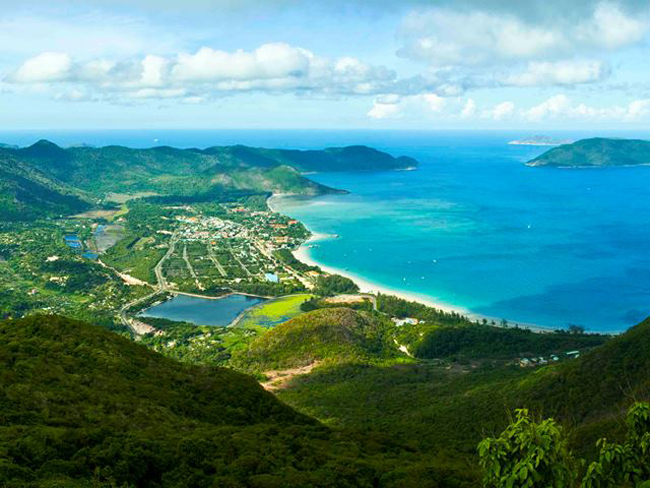 Con Dao is famous for crystal-like water, white sandy and long lines of coconut trees. Its beauty can enchant any tourists including both locals and foreigners. With the pure and wild beauty without any tourism service’s influence, Con Dao is such a precious pearl of Vietnam. This is a religious pagoda located on the Big Mountain of Vung Tau City. The beauty of this pagoda is the harmonious combination of religious architect and spectacular natural landscape. 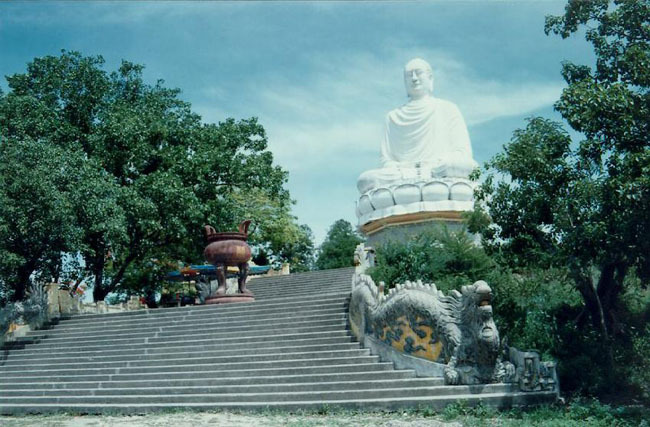 The highlight of Thich Ca Phat Dai is the 19-meter-octagonal tower and the statue of Buddha on a lotus. They are so giant that tourists can see them from such a long distance. In order to pay a visit to Thich Ca Phat Dai, you can go straight on Le Loi Street, then turn to Tran Phu Street, or you can start from Tran Phu Street, Front Beach and cross Dau Beach to Ben Da. The Statue of Jesus Christ is located on Small Mountain of Vung Tau City. The statue was built in 1975 with 32 meters in height, 18.3 meters in width and 170 meters from the sea level. There are 133 rocky staircases lead to the statue. This is also claimed as a mini version of Statue of Jesus Christ of Rio de Janeiro, Brazil. 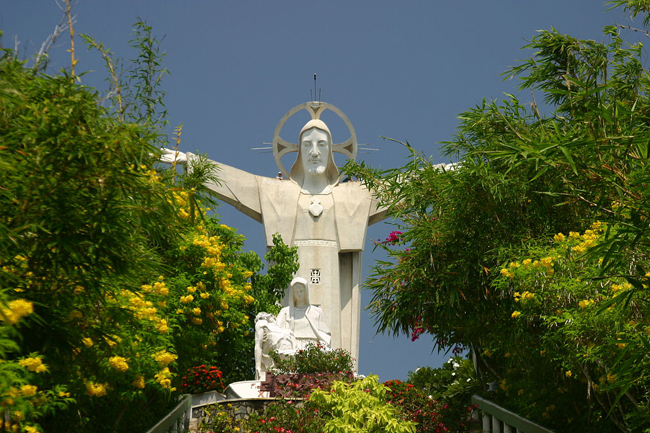 You can pay a visit to the Small Mountain to observe The Statue of Jesus Christ. 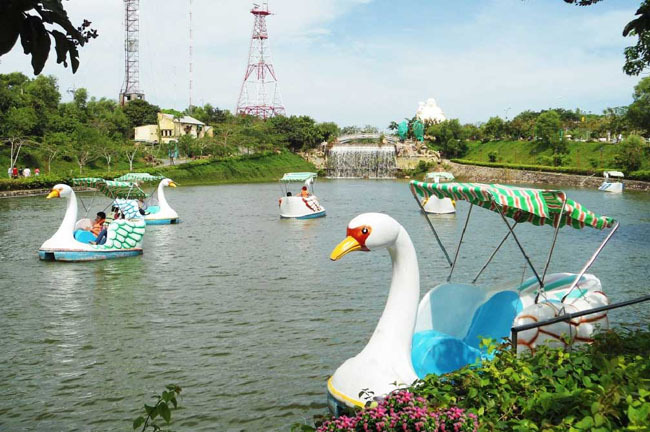 Ho May Cultural and Ecological Park is a must-visit destination when traveling to Vung Tau. You will have the opportunity to contemplate the beautiful landscape of this area on the cable car and enjoy the cool and pure water of May Lake. Especially, this is an ideal place for children with numerous games such as the merry-go-round, waterpark, etc. Every year, the province of Ba Ria – Vung Tau hold many folks and traditional festivals, which represent the culture, custom, and belief of the locals. Those festivals have been successful in attracting a great number of tourists for the city. 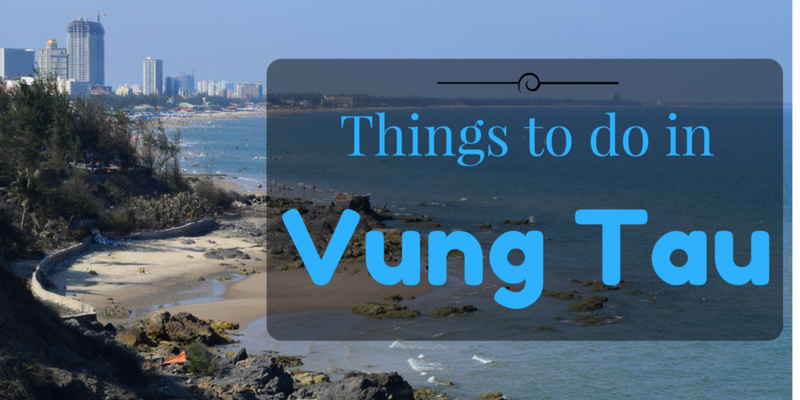 Here are some famous festivals of Vung Tau, which you should not miss. On 20th August of Lunar calendar every year, Tran Temple Festival is held at Tran Temple, 68, Ha Long, Ward 2, Vung Tau City. For a long time, the festival is not only meant for the locals anymore, but it has become a public festival, which attracts a great number of attendants from many regions of the country. This is also an important occasion to teach the young generation about the national pride, gratitude and commemoration general Tran Hung Dao, who played an important part in protecting the country against Yuan Mongol. Dinh Co is a temple with the spectacular and traditional architect. 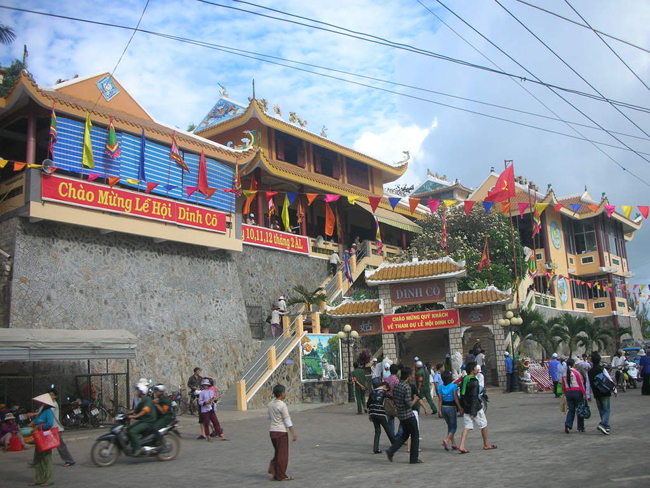 The temple is located near the coastal line of Long Hai Beach, Ba Ria – Vung Tau Province. The Dinh Co Festival is usually held around 10th or 12th February of Lunar Calendar every year. The festival is packed with folk, traditional value and attracts a lot of tourists coming here to attend and contemplate the scenery here.